Post especial para contaros que Eli, del blog Caprice, me ha otorgado el premio Best Blog Award. Ya lo recibí hace unos meses, así que en teoría no puedo volver a nominar. Sin embargo, me hace tantísima ilusión que Eli, una de mis bloggers favoritas, me haya escogido, que he decidido responder a las preguntas aunque no pueda nominar a nadie. Aseguraros de visitar su blog, porque ella es genial y sus outfits son inspiradores y muy muy originales, es como un soplo de aire fresco! 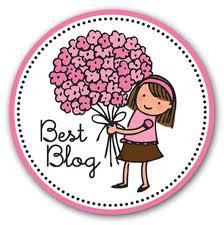 Special post to tell you guys that Eli, from the blog Caprice, has given me the Best Blog Award. I already received it a few months ago, so in theory I can't nominated anyone again. However, I feel so honoured for her (one of my favorite bloggers) choosing me that I've decided to answer the questions, even if I can't nominated other bloggers. Make sure you drop by her blog, because she is awesome and her outfits are inspiring and very original, like a breath of fresh air! hi, do you mind to follow each other? let me know! Congrats on the best blogger award! You deserve it. I love Eli, she is such a sweet girl with a great blog! Love your blog as well. Perhaps if you like mine you would like to exchange follows? What is additional, you are for you to have fun numerous. A intermodal freight haul industry is another large business constructed globally. As long as you have the actual internet connection towards your home or even a office computer.